Chief Roy W. McGill Jr., C.L.E.E. Welcome to our website! We hope that you enjoy your online visit to the Germantown Police Department, and that as we build out this web page, you’ll look to it for information and referrals on law enforcement issues and items of local interest relative to law enforcement. Our Departmental Mission is to deliver “highly effective law enforcement”, and “outstanding service” to the citizens of Germantown. Several years ago, our officers collaborated together to identify methods and practices that were essential to the fulfillment of that mission. The process culminated in the adoption of a strategic plan to implement our “7 Strategies For Success” as well as our Departmental “Core Values”. These guideposts for conduct and performance remain in effect even today, and can be found here at our website for your inspection. The Germantown Police Department is a fiscally responsible agency, and we well realize that funding for the department comes from the hard work and laboring hours of our taxpaying citizens. Because of this, we spend your money with great caution, and in ways that are likely to get the most return for the investment. We have been generally, and will remain, an agency that operates within it’s budget. Our staff of officers and support personnel are dedicated to public service and to the law enforcement mission, and we look forward to working with you our public to ensure Germantown’s ever brighter future! Serving Germantown since January of 1979, Chief began his Germantown Police career as a Patrolman, subsequently being promoted to Sergeant in 1981, and to Lieutenant in 1993. 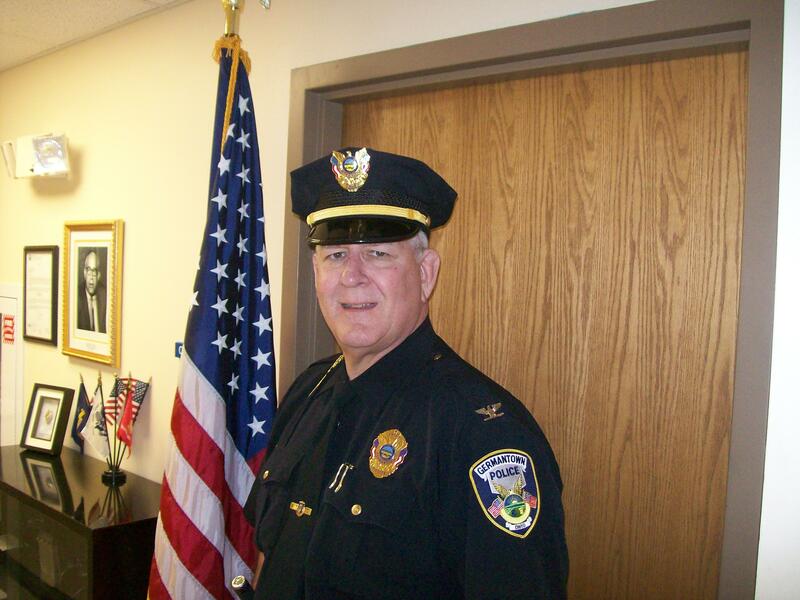 In 1998, Chief McGill was named to his current position. The Chief is a graduate of Sinclair Community College with an Associate’s Degree in Police Science. He is also a graduate of both the Police Executive Leadership College (PELC) and the Certified Law Enforcement Executive Program (CLEE), through which he has been continually recertified. The Chief sits on numerous executive level and advisory boards relative to area Task Forces, issues concerning law enforcement, and Police Academies. Chief McGill is a veteran of the United States Army Reserve where he served six years as a Military Police Officer. 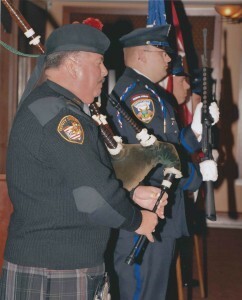 Major – Deputy Chief Matthew P. Burns, C.S.I. Major Burns is a highly decorated Officer who has served the Germantown community since 1988, when he began his career as a Patrolman. Major Burns has held the positions of Detective, Sergeant, and Lieutenant during his career. 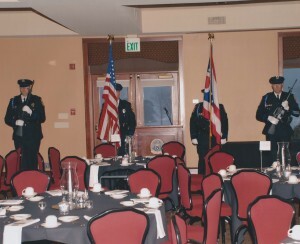 The Major currently directly commands the Detective Section, Records Section, and Training functions of the Department, as well as performing oversight responsibility of daily operations. Major Burns is a graduate of the Police Executive Leadership College (PELC), where he currently sits on the Alumni Association Board, and is certified in crime scene investigations. The Major is a veteran of the United States Marine Corps Reserve, where he served six years as a Military Police Officer. Lieutenant Scott Brown, C.L.E.E . Lieutenant Brown began his career with the Germantown Police Department in 1991 as a Police Cadet, and a Dispatcher. After graduating from the Police Academy he joined the ranks of the Auxiliary Staff. In 1993, Lieutenant Brown was promoted to a full time Police Officer where he continued in that capacity until 1998 when he was promoted to Sergent. Lt. Brown was promoted to Lieutenant in 2012, and currently serves as the Road Patrol Commander, Property Room Manager, and is in command of the Technology Department. Lt. Brown graduated from the Police Executive Leadership College (PELC) in 2006 and in 2014 Graduated from the Certified Law Enforcement Executive Program (CLEE). He is a certified instructor and teaches firearms and taser in the police academy. Sergeant Neil B. Moreland, C.S.I. Sergeant Moreland has been serving Germantown since 1985. Sergeant Moreland is currently a Watch Commander. Additionally, he is a certified Crime Scene Investigator, and supervises the OVI Chemical Testing program. Sergeant Moreland is also the Special Events Coordinator for the Department. Corporal Nathan B. Wale, C.S.I. Corporal Wale began serving the community in 2002 as a Patrolman. A graduate of Sinclair Community College, Corporal Wale holds an Associate’s Degree in Law Enforcement. He was promoted to the rank of Corporal in 2012, and assumed responsibility as a Watch Commander. Additionally, he is a certified Crime Scene Investigator, and supervises the Field Training function, as well as the Auxiliary Police Officer wing of the Department. Patrolman First Class Robert L. (Bobby) Johnson, C.S.I. Patrolman First Class Bobby Johnson has served the City of Germantown since 2002. He is currently a Field Training Officer, as well as a certified Crime Scene Investigator, and is assigned to the Patrol Section of the Department. In addition, Bobby works with the Montgomery County Sheriff’s Regional Hostage Negotiations Team (HNT). Patrolman First Class Jason L. Mowery, C.S.I. 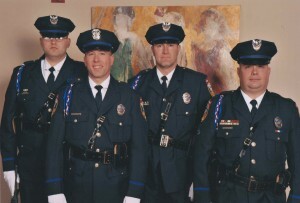 Patrolman First Class Sarver has served Germantown since 2007 and is in charge of the Department’s Honor Guard. In addition Ryan serves as a Field Training Officer in the Patrol Section. Ryan is a veteran of the United States Army, where he served as a Paratrooper in the storied 82nd Airborne Division, and saw combat in the Kosovo / Bosnia – Croatia conflict. Ryan also served in Egypt and Korea. Ryan is currently pursuing his degree in law enforcement at American Military University. 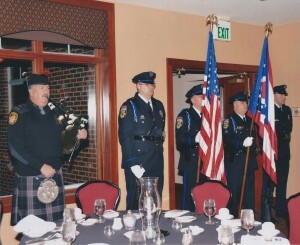 Patrolman Stewart started his career at the Germantown Police Department in 2008 as an Auxiliary Police Officer. He was later promoted to part-time and eventually to full-time in 2012. Brian is a graduate of Vally View High School and grew up in Germantown. He is currently assinged to the patrol section and is a member of the Bicycle Patrol. He is also a member of the IT department. Patrolman Shoemaker began his law enforcement career as an Auxiliary Officer in 2010. He was promted to a full-time Patrolman with the Police Department in 2013, and is assigned to the Patrol Section. Josiah is a combat veteran of the United States Marine Corps, where he served in both Iraq and Afghanistan as a Rifleman in an Infantry Company. While in Afghanistan, Josiah was wounded in action, and won the “Purple Heart” Medal as well as a host of other miltary awards. Q: How can I reach a Germantown Police Officer? A: The Germantown Police Department is dispatched through the Montgomery County Regional Dispatch Center at 937-855-6567. Q: What is the maximum amount of time I can let a car sit on the street? A: The maximum parking time for a vehicle on the street in the City is 48 hours. Q: How can I get a copy of a police or accident report? The Municipality of Germantown would like to have your input on new ideas and feedback on how we are doing. Please do not hesitate to contact us. Follow Us! Germantown Police Department Facebook Page “The Germantown Police Department now has a Facebook page! We encourage everyone who has Facebook to like and follow our page at The City of Germantown Police Department. This will allow us to keep you informed about current events in the City and within the police department. It will also allow us to stay connected with you!\"
Check out Germantown Spending by going to https://germantown.ohiocheckbook.com for a detailed financial report.